The 5th-6th grade team continues to focus on the basics of rugby and introduces the concepts of playing positions. We play 10 a side, tackle rugby through the season and encourage both boys and girls to come on out and have fun. 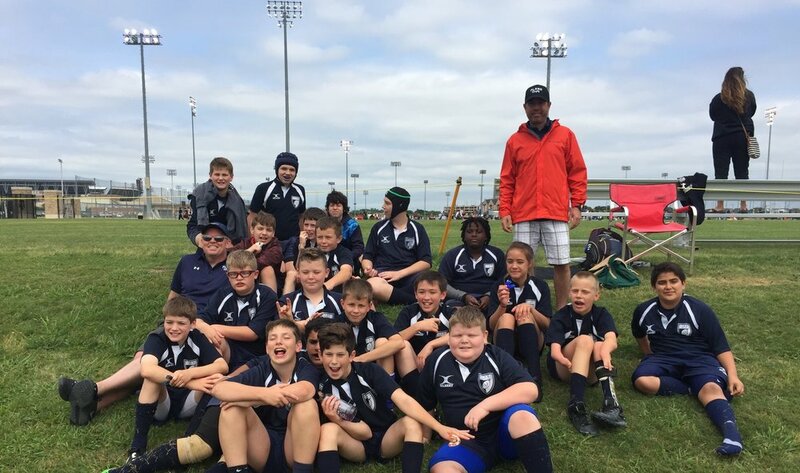 Our philosophy of “everyone plays” ensures that your child will get exposure to the coaching and game play to help them develop as well rounded rugby players. Only equipment needed to play are soccer style rubber cleats, mouthguard, rugby shorts and socks. We recommend Academy Sports for the soccer cleats and mouthguard and provide the online link to purchase rugby shorts and socks.